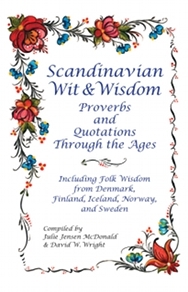 Those are just two of the timeless proverbs collected in Scandinavian Wit & Wisdom: Proverbs and Quotations Through the Ages. The book offers an overview of the wit and wisdom from Denmark, Finland, Iceland, Norway, and Sweden. 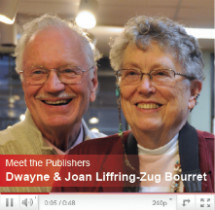 The proverbs and quotations were gathered by David W. Wright, a Decorah writer, editor, historian, and consultant, and Julie Jensen McDonald, a former teacher and the author of sixteen novels, including a trilogy about Danish Americans. Excerpts from those novels can be found in McDonald’s Forever Danish (Penfield Books, 140 pages). Scandinavian Wit & Wisdom also contains striking black-and-white pictures of Norwegian inspired stoneware created by Gene and Lucy Tokheim in their Dawson, Minnesota, studio. 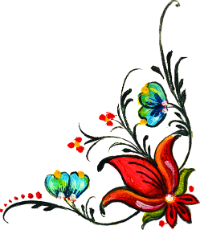 The book’s cover features Norwegian Rogaland rosemaling by Norma Wangsness of Decorah, Iowa.